We have just received this testimony email from a parent and wanted t share with you. If your new to J4K, your probably wondering what all the hype is about. 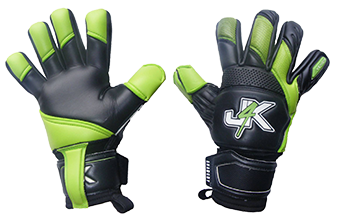 Well in brief, J4Kprovides high quality goalkeeper gloves but at a fraction of the cost of other goalkeeper glove brands. This is something we are very very proud of in J4K… please see the happy J4k parent and keeper below. Stephanie who plays for Livermore Fusion SC has used Adidas, Ho, Reusch and Uhlsport. She currently has a pair of $150.00 Uhlsport Gloves and prefers her J4K Gloves. She has worn J4K for 2 seasons now playing at the highest level of Youth Soccer in California Premier/NPL and loves the stick, cushion and feel of the glove. With J4K, we don’t need to get new gloves every season but with the price points we can get her two or more pairs of gloves a season, for the higher cost we would get with similar gloves from other lines that always break down a lot quicker thn J4k gloves. Scott – Proud Goalkeeping Parent of Stephanie.